Like I keep saying, App Indexing with Google and iOS (Apple) is a big deal. Google recently revealed a new ranking boost for using the App Indexing API but also announced a few other things. 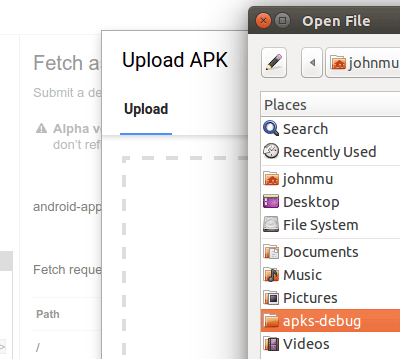 One thing that got swept under the rug was the ability to go to the Google Search Console and directly upload your App's APK to test how it looks to Google in the Fetch As Google feature. If you're using App-Indexing to get your Android App indexed in search, Google Search Console now lets you upload APKs and test them directly with Fetch as Google. This makes it much easier to try things out, and lets you test APK changes without worrying about what users run into. This makes it much easier to test your apps with Google.